President Enrique Peña Nieto, President Donald Trump, and Prime Minister Justin Trudeau sign the agreement during the G20 summit in Buenos Aires, Argentina, on November 30, 2018. ^ McGregor, Janyce (2018年10月4日). 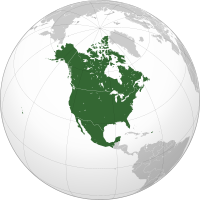 “Auto industry relieved by NAFTA 2.0, but results may be mixed”. Canadian Broadcasting Corporation. https://www.cbc.ca/news/politics/auto-impact-usmca-wednesday-1.4848589 2018年10月7日閲覧. "There would be no "Carmageddon" caused by auto tariffs torpedoing cross-border trade, now that NAFTA 2.0 had found a safe landing zone."